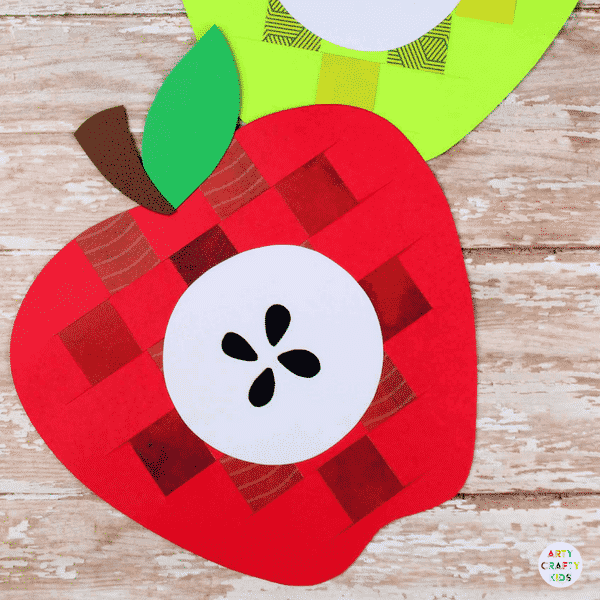 This Paper Apple Weaving Craft is cute, simple to make and perfect for working the fine motors skills of little hands! 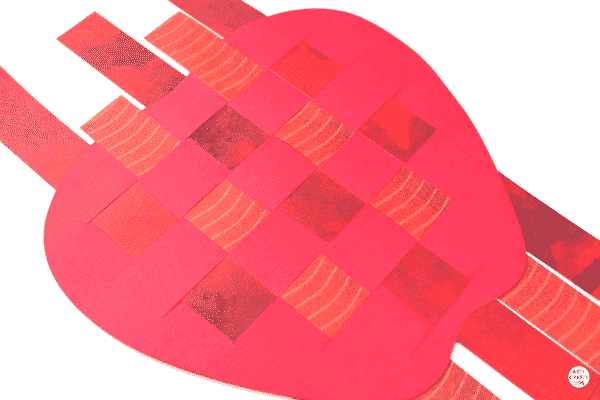 The process and motion of weaving in and out of the designated lines is great for hand-eye coordination and the overall effect adds a fun and interesting layer to the apple craft. 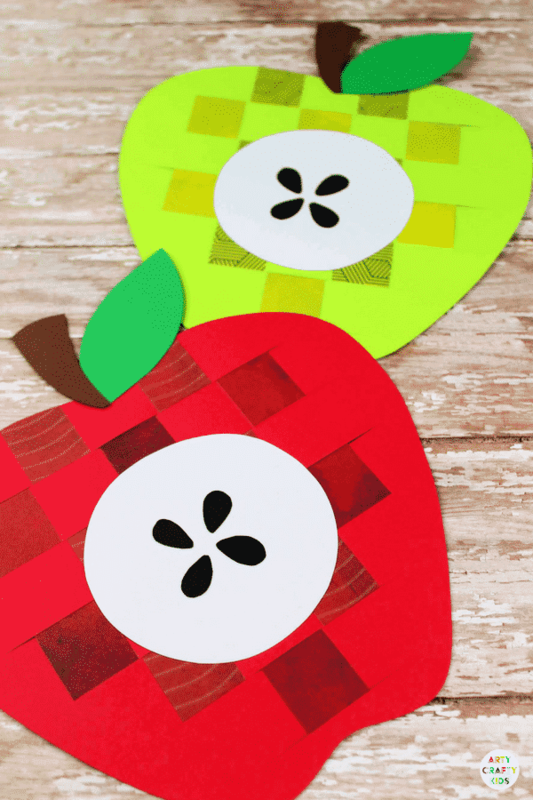 Can you imagine how a collection of these apples in both red and green would look on a bulletin board? 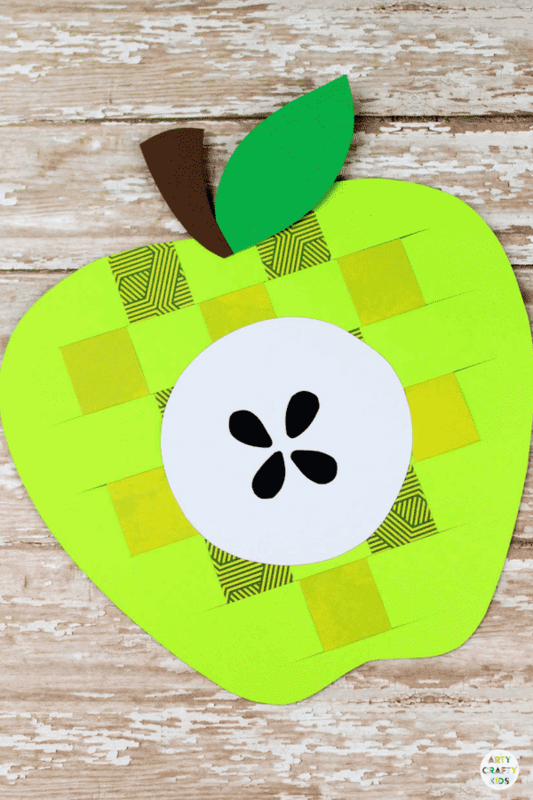 And if we’re talking about adding additional dimensions and layers, Arty Crafty Kids could add apple prints to the base layer of cardstock. 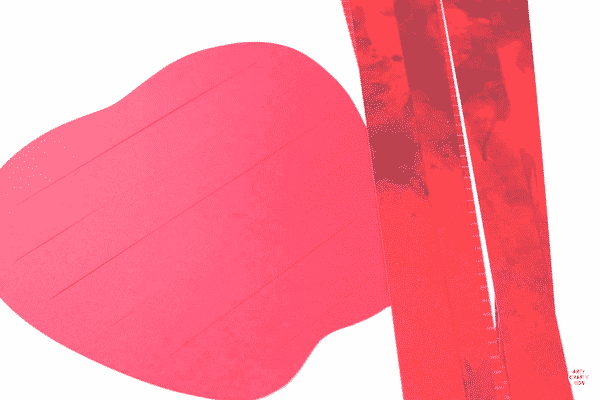 To see an example of how apple printing works, take a quick look at our Handprint Apple Tree! Apple Template – this can be found towards the end of the post! Step 1: Download the template (found towards the end of this post) and print. 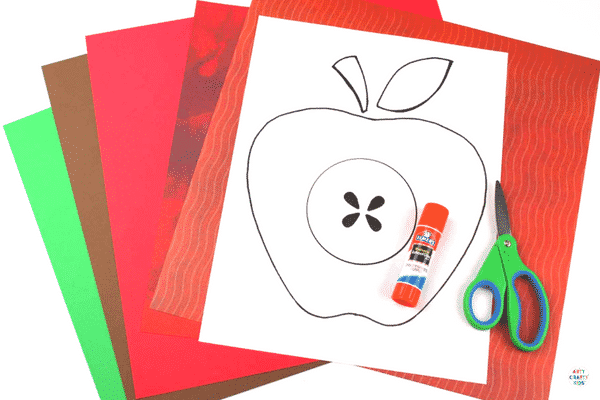 Step 2: Cut out the template and trace the apple onto green or red cardstock. Repeat this process with the green leaf, brown stem and white apple core. Step 3: Fold the apple in half and cut strips into the apple core, leaving at least 1cm between the stips. Be careful not to cut too close to the edge to avoid tearing the apple. 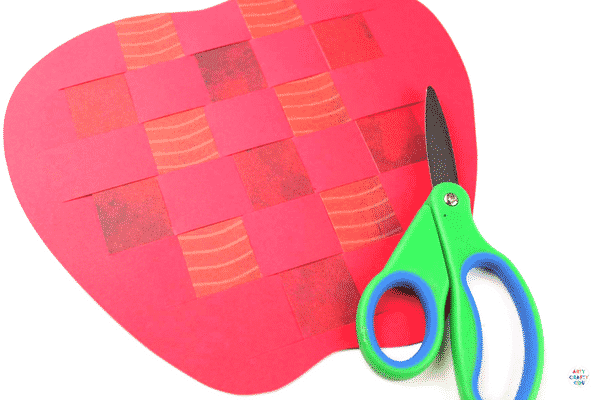 Cut a selection of patterned and plain paper into strips (approx 1cm wide). Step 4: Weave the strips in and out of the cuts in the apple. 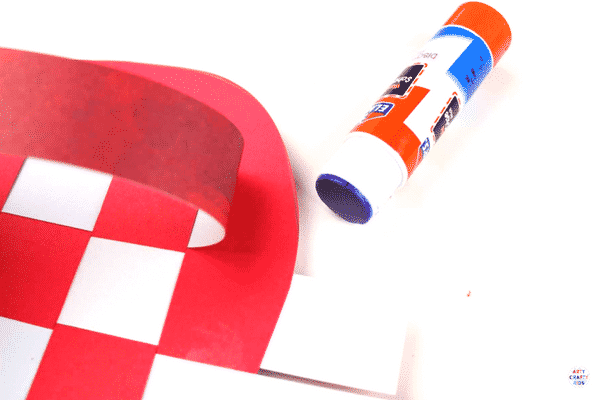 Step 5: Glue the edges of the paper strips to keep them from moving out of place. 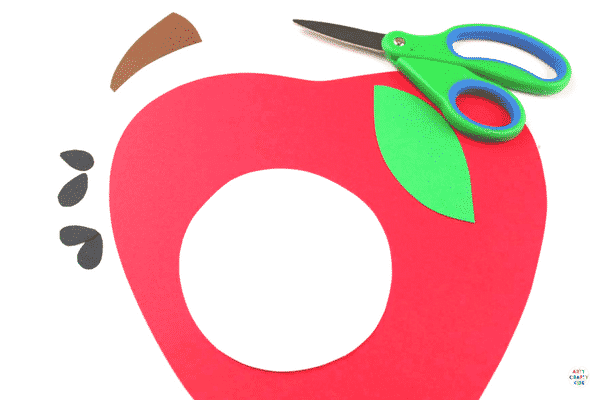 Step 6: Cut off the excess paper around the apple. Step 7: Add some apple seeds to the core. 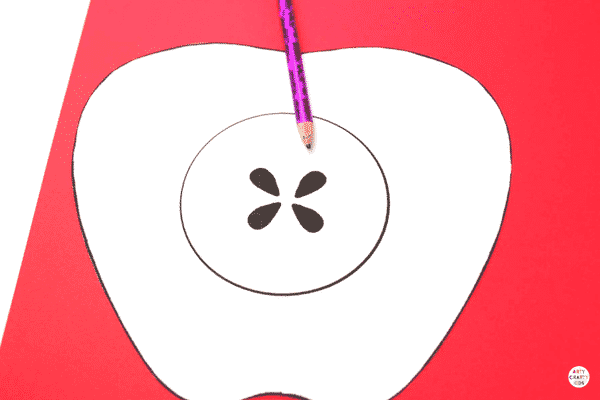 Step 8: Glue the apple core, leaf and stem onto the apple to complete the craft. And here’s an example of this gorgeous Paper Apple Weaving Craft in green! 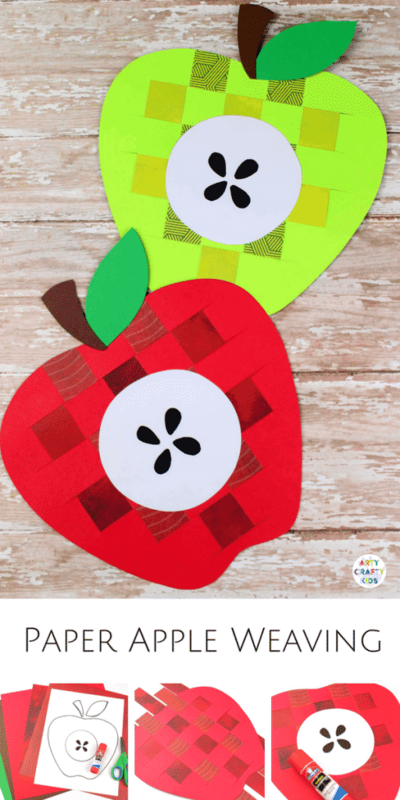 This is a fab little craft to start the new school year as well as recognising the beginnings of the Apple harvest. 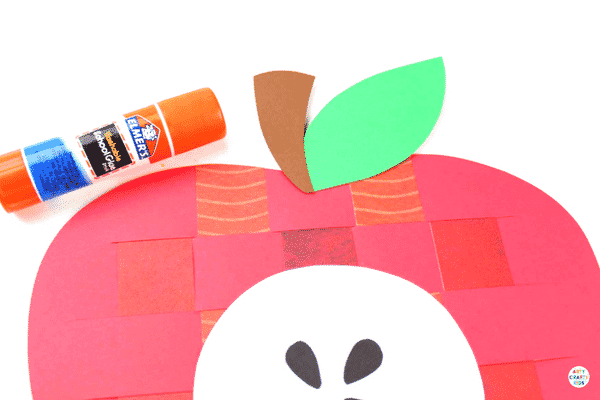 For more easy apple themed crafts, take a look at our Cardboard Tube Apple Trees and Recycled Cardboard Apples that encourages children to create with loose parts. We also have a super duper round-up of the best Apple Crafts across the internet.